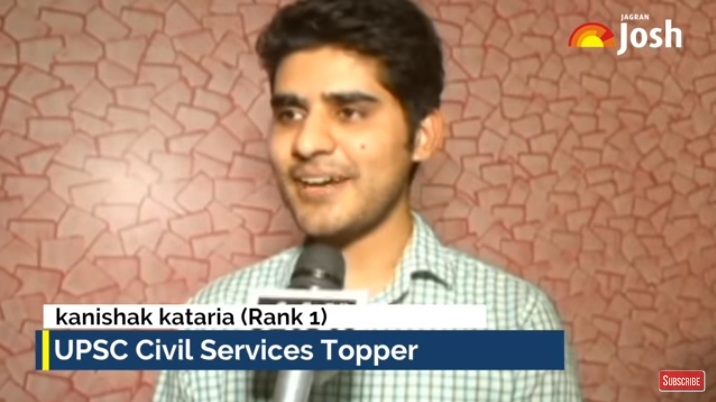 Kanishka Kataria has topped the UPSC IAS Result 2018 announced in April 2019. Kanishka Kataria is currently working as a Data Scientist in Banglore based company. Prior to this, he was working as a Software Engineer in Samsung Electronics in South Korea. Kanishak Kataria topped the prestigious Civil Services Exam 2018 in all categories. But this is success is not a result of one or two years IAS Preparation. We can say, he is brilliant in Mathematics since his childhood days. He got All India 44th Rank in the IIT Jee Exam 2010, he was at 24th position in the AIEEE Exam 2010. In addition to that, he has the CBSE Merit Certificate of getting 100% Marks in Mathematics in his High School and Intermediate Examination and was among the 0.1 percent students in India at that time. He also got All India Rank 1 in the National Science Olympiad in 2009. After achieving that much, Civil Services was the obvious choice but he opted for the alternative career first due to the uncertainty in the UPSC IAS Exam. More in the video…. He is a software engineer and had Mathematics as his optional subject in the IAS Main(written) Exam. Kanishak Kataria has done his B.Tech from IIT Bombay in Computer Science and Engineering. He also worked as a teaching assistant at IIT Bombay. Kanishak Kataria belonged to the SC category and the Mathematics in the IAS Main (written) examination was their optional subject. Those quota are from Rajasthan and they have secured school education ST. Paul is from Senior Secondary School Kota. In the conversation with Jagranjosh, he said that coming to rank 1 in IAS 2018 was very surprising for him. He was not expecting that rank in the UPSC Examination. He gave the credit for his success to his family and friends and all those people who have helped him in his IAS Preparation. He always wanted to be a good administrator and after getting 1st rank, he got a chance to fulfill this dream. Even after being a successful engineer and after working in a prestigious brand like Samsung, he also prepared for the IAS exam and topped it too. It is a symbol of their hard work and determination.